In May of 2009, a new law went into effect on a national level. It's one of the few federal laws that have an impact on our state-wide tenant-landlord laws, and it was a big deal - the Protecting Tenants at Foreclosure Act. Basically, if a landlord was going into foreclosure on a rental property, it changed the process so that the tenants had some rights to stay in that rental for a while after the property got turned over. This laws was extended until Dec. 31, 2014. This past year, Congress decided not to extend it again. So now, the law is over, and tenants in this situation have very few rights. Today, we are talking about what this will look like for tenants and landlords and new owners alike. Tenants: It's important for you to know that a foreclosure is very different, in a legal sense, from a situation where a property is simply sold. If your landlord is simply selling the property, and you are dealing with a change of owner, then you have many rights! And the information in this post doesn't apply to your situation. The landlord defaults on payment of a mortgage loan. A foreclosure action is filed in court by the bank. The landlord has 20 days to state a defense against the foreclosure filing. Once the 20 days are over, the court decides whether to accept or reject the defenses to the foreclosure (usually within several months from the point at which the 20 days expire). If those defenses are rejected, then the court enters a judgment of foreclosure. NOTE: This is not the same thing as appointing a new owner! There is much more to the process before that point. After the judgment of foreclosure, the landlord starts a "redemption period" where they have the opportunity to repay the amount owed to the bank. During this time, the landlord might cure the default or might sell the property, which would end the foreclosure, and would allow the landlord to continue as owner. A redemption period can be 2, 3, 6, or 12 months, depending on the type of foreclosure filed. NOTE: During the redemption period, the landlord still collects rent and is responsible for repairs, etc. Once the redemption period ends, if the landlord hasn't paid back the money, there is a sheriff's sale where the property is sold to a new owner or (usually) to the bank who sued for foreclosure. Once a property is sold, a hearing is scheduled to confirm the sale. The confirmation of sale hearing takes place and, if the sale is confirmed, results in the "date of confirmation sale." The title of the home is transferred at the hearing. At this point, a tenant's right to rent the property ends. The new owner might be willing to agree to a new lease, but that is not required. This is the first day that the new owner can take any action as the person who owns the property. The court may grant the new owner a "writ of assistance" in that very hearing (that "confirmation of sale" hearing in step #8), which will allow the new owner to go to the sheriff, and have the tenants removed. Foreclosures tend to be long. From the moment it is filed, it can take over a year for the process to conclude. During that time, tenants and landlords have the same rights and responsibilities as always - tenants have a contract to pay rent, landlords have a contract where they are supposed to make repairs. If the landlord doesn't make repairs, the tenant can call the building inspector (or follow other steps from our Repairs page). The landlord can evict the tenant if the tenant doesn't pay rent. There is no point where anyone is required to notify the tenant about the foreclosure process. However, the very moment that hearing to confirm the sheriff's sale takes place (step #8, above), and the moment that title transfers from previous owner to new owner, that is the moment that the tenant's rights to the property end. It's pretty abrupt. At that moment, the new owner can go to the sheriff's department and immediately have the tenants removed. Ahead of time: Try and work out an agreement with your current landlord to end the lease early. This kind of agreement would be a Termination of Tenancy by Mutual Agreement. Ahead of time: Look for new housing. If you find something, you can break your lease before your lease is over, but all the normal rules apply. The landlord has to look for someone new, and if they are not able to find someone, you might be on the hook for the rent. More info at Ending Your Lease. Since "confirmation of sale hearings" often get changed, it might turn out that you are on the hook for more rent than you expected, if you break your lease early. Go to the sheriff's sale and try to work out a plan with the person who buys the property. Get it in writing!!!! That is what will protect you from eviction if the new owner changes their mind. This is most likely to be successful if the bank takes ownership of the property, when they don't have a sale lined up. After the sale: Give the new owner a month's rent, and if they cash it, they may have established a month-to-month tenancy with you. If you're desperate, it's worth a try. The law that says this is Wis. Stat. 705.25(2)(c), which says that if a tenant stays after the end of their tenancy, but the landlord accepts rent from the tenant, then a new month-to-month tenancy is created, unless the landlord has already begun eviction proceedings. Call your Representatives and Senators. They are the ones who can change this, and reinstate this law. 1. Call your County Register of Deeds. A list of contact info by county is here. Ask them how to learn if your property is in foreclosure. Second Step: Use that information to search on CCAP. CCAP is here. Click "I agree" and then plug in either the personal name of the owner (under "party name"), or the business name of the organization that owns the property (under "business name"). As a side note, CCAP does not always yield useful results. 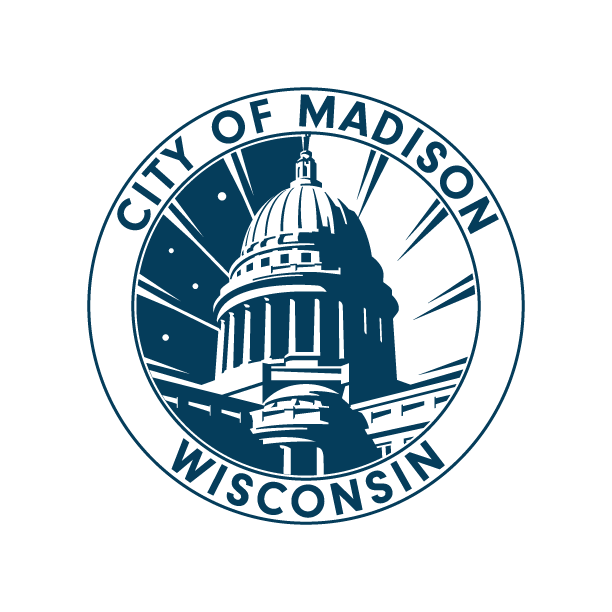 For example, a property that was foreclosed upon in 2010 was listed, in CCAP, not by its street address (1114 Mound St, Madison), but by its legal address (The West 40 feet of Lot 12, Block 7, Bowen's Addition, in the City of Madison, Dane County, Wisconsin.) So, um, yikes. The city assessor's website has many different ways to identify this property (parcel number, legal description, street address), so use the assessor's information to comb through all that while you're considering what may be on CCAP. 3. Dane County: Go to the Register of Deeds office, located at the City County Building in Room 110, 210 Martin Luther King Jr. Blvd. Madison, WI. Staff should be able to help you in finding out if the property is in foreclosure. Alternatively, the sheriff keeps records for upcoming sales on this page. Search for your address. The sheriff only lists properties that are up for Sheriff Sale within the next month (or so). There are more extensive lists available at the City County Building, posted on the wall near the Wilson St. entrance. If you wish to attend a Dane County Sheriff Sale, they take place every Tuesday at 10:00 a.m. in Room 2002 of the Public Safety Building, 115 W. Doty Street, Madison, WI. The website will note on which Tuesday the sale of a particular property will take place. 4. Milwaukee County: To figure out if any foreclosure action has been filed where you live, go down to the Milwaukee County Register of Deeds, located at the Milwaukee County courthouse, 901 N. 9th Street, Milwaukee WI, Room G-6, between 8am-4pm. If you have your address, they will search their records to find if the property is in foreclosure. There is no fee to do the search, and you do not have to bring any form of ID. Alternatively, the Milwaukee County Sheriff has records for upcoming sales on this page. This information is not as complete as the Register of Deeds, but will give some leads on upcoming Sheriff Sales. It's tough luck to end up in a place where your rental property is being foreclosed, but here are some resources for you. "The new timeline for foreclosure" was edited on 2/10/16 to improve clarity.